How Long Does a Swimming Pool Heat Pump Take to Heat the Water? 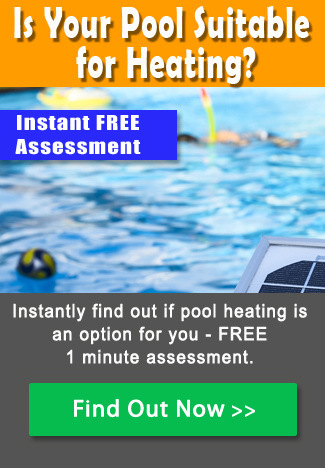 You are at:Home»Pool Heating»How Long Does a Pool Heat Pump Take to Warm the Water? How Long Does a Pool Heat Pump Take to Warm the Water? The short answer is that, for a standard 32 m2 pool, from a cold water standing start at the beginning of the swimming season, a swimming pool heat pump can heat your pool to a swimmable 28ᵒ C in just 12-48 hours. Part of the difference in the time it takes the pool heat pump to heat the water depends on whether or not you have a pool cover. It also depends on where you live: if you live in Sydney, you’re looking at potentially 24 hours or less; if you live in Melbourne, it could take a day or so longer. The reason for this is because pool heat pumps are capable of warming the water of an average 32 m2 (42,000 litre) backyard pool by around 0.5ᵒ C per hour. The longer answer, however, is that the amount of time required for a swimming pool heat pump to bring the water up to 28ᵒ C depends on the starting temperature of the water. And it depends on the rate at which your pool is actually losing heat. Even though the pump is pushing in warm water at one end, your pool is still losing heat to the atmosphere. 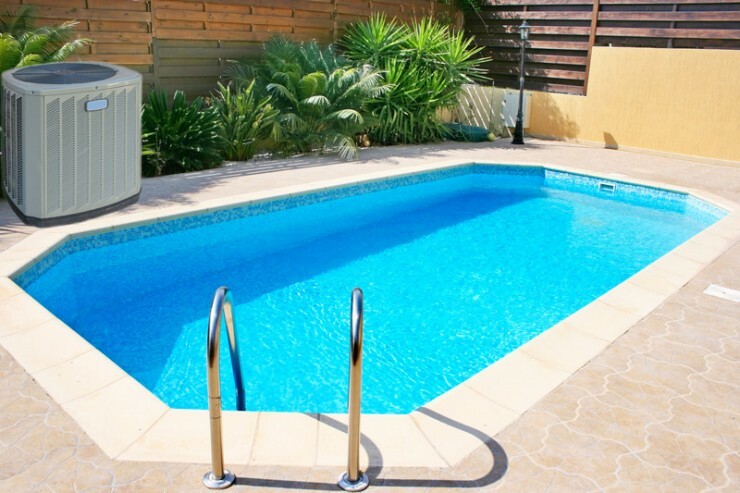 As a result, an uncovered pool will experience a slower heat gain than one that is covered. Additionally, climate and geography play a factor. That’s because the actual amount of heat that the pool heat pump delivers to the water in any given hour is affected by the amount of wind, the ambient air temperature, and humidity. Obviously, the amount of time it takes a swimming pool heat pump to warm the water to a comfortably swimmable temperature is governed, in no small part, by how cold your pool water is before you start to heat it. Pool heat pumps may be capable of warming your pool by approximately 0.5ᵒ C per hour, but the time required for it actually to warm your pool to a pleasantly swimmable temperature depends on the hourly rate at which your pool is losing heat at the same time. Through evaporation alone, an uncovered 32 m2 pool in summer will lose heat at a rate of around 0.06 C or more per hour. More than that at night, and even more still if your pool is located in a windy area; in fact, even a gentle breeze of around 10km per hour will almost double the rate of heat loss. Additionally, in spring and autumn, the cooler nighttime temperatures increase the heat loss from the pool’s surface water. The net effect is that your pool water temperature isn’t benefiting from the full warming effects that your pool heat pump is delivering. Pool heat pumps work like a refrigerator – only in reverse. The heat pump’s fan draws in warm air from the atmosphere and into an evaporator that contains a piping system filled with a non-CFC refrigerant. Because the refrigerant has a boiling point of -26ᵒ C, the warm air immediately causes the refrigerant to super-heat, and that heat is then transferred to the pool water circulating through the heat pump. Although most electric heat pumps will operate efficiently even in air temperatures as low as 7°C, below that there is a risk of ice forming on their condensers thereby causing mechanical failure. In Australia, however, humidity is a more significant factor. Most pool heat pumps work at maximum efficiency (i.e. heat your pool quicker) at around 80% relative humidity. At 60% relative humidity their heat producing ability is around 6-8% lower. Additionally, ambient air temperature and humidity directly affects the rate of evaporation, as a consequence, swimming pool heat loss. The lower the humidity and the higher the surface water temperature, the greater the rate of evaporation. So, depending on where you live, assuming that your pool is protected from wind, and adjusting for regional average monthly humidity levels, the following tables show the approximate length of time that a pool heat pump should be expected to heat an average 32 m2 backyard pool to a pleasantly swimmable 28ᵒ C – with and without a pool cover. For more information on swimming pool heat pumps, Click Here. 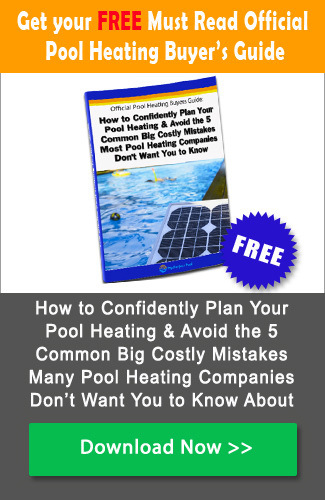 For more information on swimming pool heat pumps vs. solar heating, Click Here.